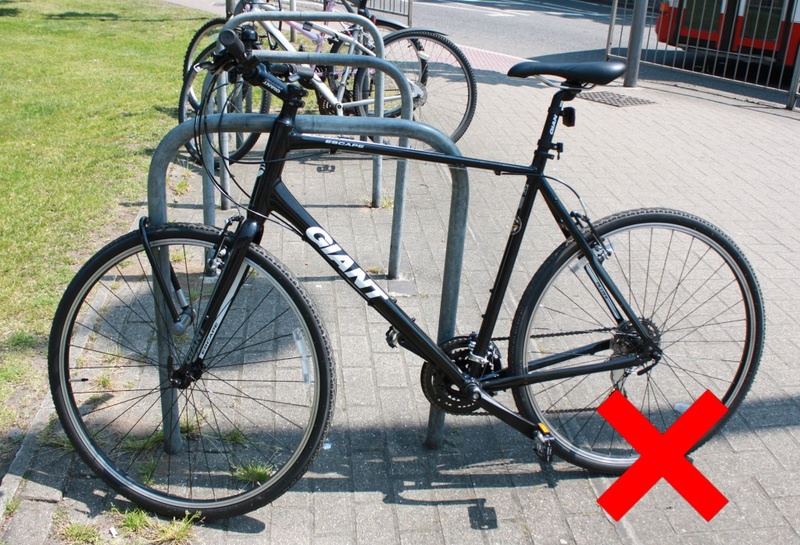 Are you locking your bicycle correctly when leaving it unattended in a public place? 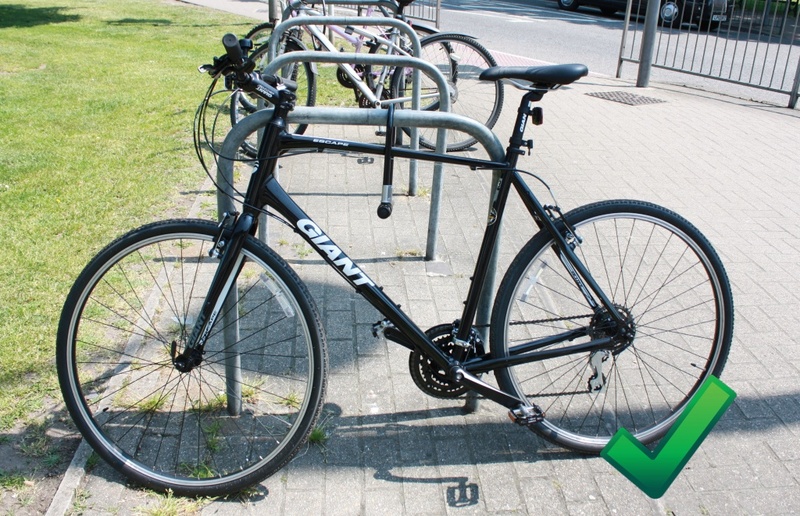 Just follow our handy guide on how to lock your bike to ensure that you are meeting our policy requirements. Make sure your Sold Secure approved lock passes through the frame of the bicycle and an immovable object. 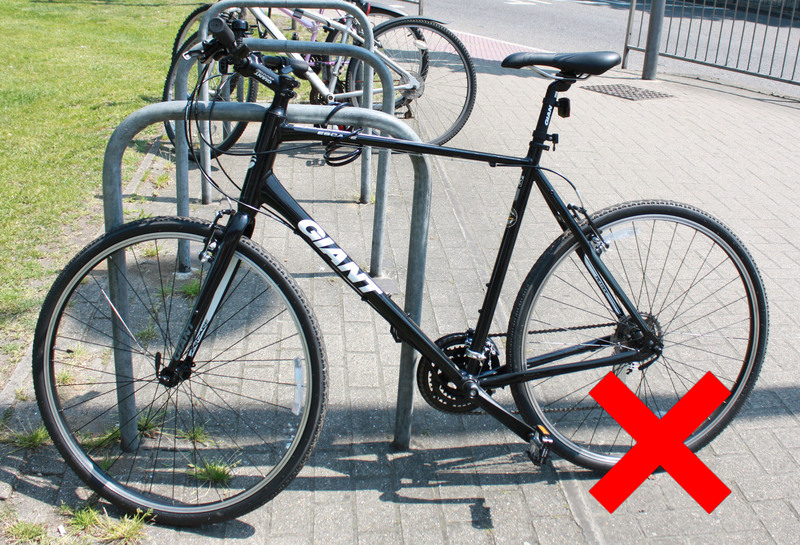 This locking method is a policy requirement; if you fail to lock your bike in this manner and it is stolen, we cannot guarantee your claim will be accepted. What is an ‘immovable object’? The definition of an immovable object is pretty self-explanatory. Our policy document defines it as ‘any solid object fixed in or on to concrete or stone, which is not capable of being undone, removed with, or lifted over/under the bicycle’. A properly fixed vehicle roof rack or bicycle rack is also classed as an immovable object. The key is to use your common sense in each situation you find yourself in. We do review claims on a case-by-case basis. 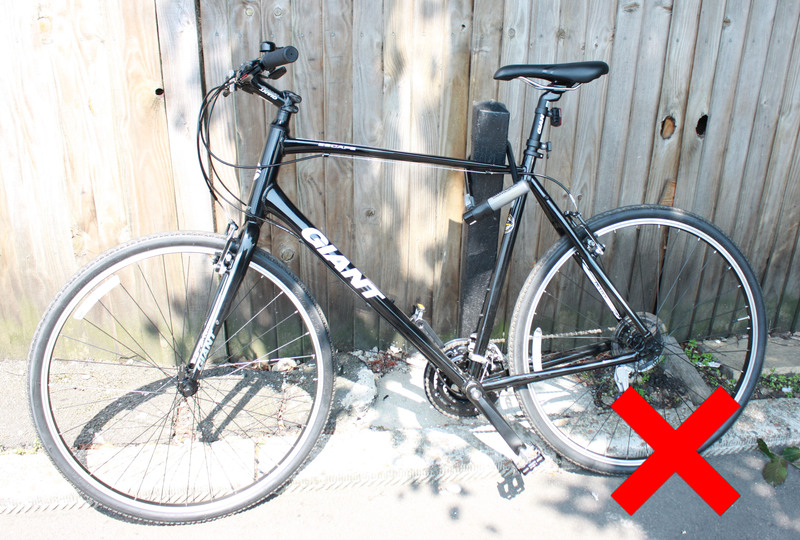 The example above may seem a little extreme, but surprisingly we do receive numerous claims each year where a bicycle was locked to a post where it could easily be lifted off by thieves. We’ve even had claims in situations where bikes were stolen having been ‘locked’ to ladders or lawnmowers! Needless to say these claims cannot be accepted. Don’t make yourself a target. We cannot stress enough how important it is to lock your bike through the frame. If you lock yours through the front wheel only, as illustrated above, you are making it relatively easy for a thief to detach the wheel, only to leave it and go whistling off into the sunset with the remainder of your bicycle. This would be very upsetting, more so because we cannot approve claims where the bicycle was not secured through the frame. The security cables that are sometimes included with a Sold Secure lock are NOT designed to be used as your primary lock and have not been approved as such.